The idea of divine wisdom and knowledge are framed literally in these intimate pieces. Using dimension, mixed media layering, and within context of the written word, these works strive to pull you closer. The concept of knowing is such a hard image to hold, but it is through experience and learning that true understanding takes root. 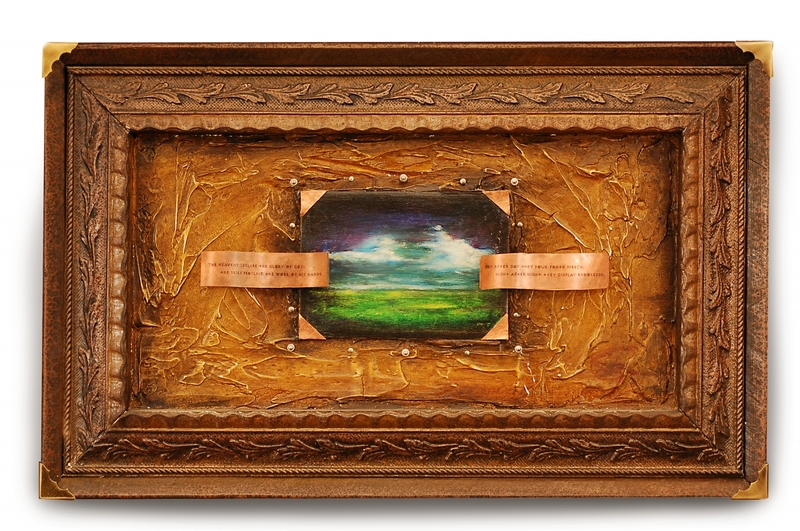 The copper pieces flanking the painting have inscribed text from the Psalms. The words echo God in and through His creation being manifest. His creation is a powerful reflection of His greatness in everything made. There is sense of knowing from seeing creation through this lens, which is the foundation of this collection.